Whoever lived in these homes, and it must have been a very long time ago, surely had a hardscrabble existence. 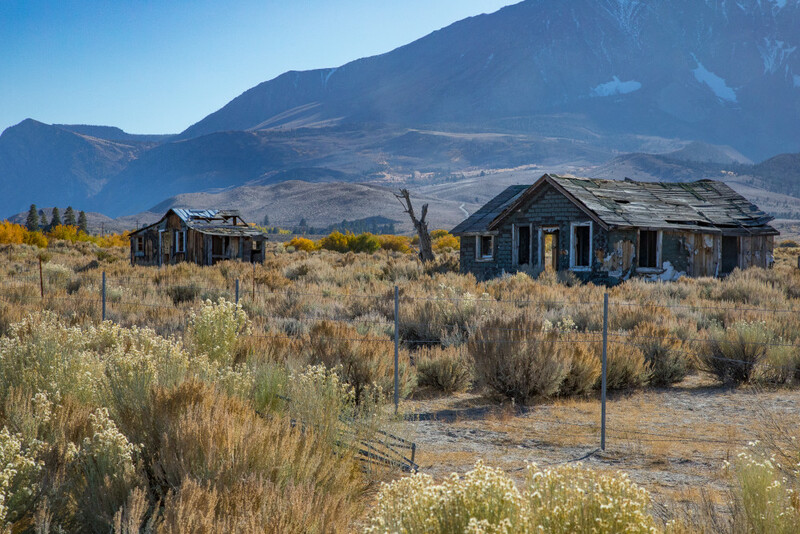 These two homes, long since turned into well-ventilated wrecks, sit beside Hwy 395 not far from the famous Mono Lake and the ghost town of Bodie, California. Just behind them, thoroughly-rusted household appliances litter the ground. It surely couldn't have been an easy life here, where the winters get brutal and the summers aren't too comfortable, either.